This recent article from Radiology reports the use of an 80% reduced dose CT protocol for assessing moderate to high risk patients for ureteral stones in an ED environment. Reduced dose CT was correct for stone versus no stone in 100% of 108 patients. Dose reduction was achieved by lowering both the mAs and the kVp and adding iterative reconstruction. This article illustrates how iterative reconstruction can be used to markedly lower CT radiation dose without significant impact on diagnostic content in CT exams. For patients with Crohn’s disease who likely will have multiple CT exams over time, lowering dose is especially important. This article provides another neat bit of knowledge to consider when looking for lowest dose – though this is multi-factorial. Standardizing dose description parameters and metrics is an ongoing and very active area in ACR and nationwide. This will be a big help to comparing metrics between institutions and over time. The SSDE (Size Specific Dose Estimate) is a good step in that direction. But this article also points out the large impact of exam appropriateness on dose. It is an impressive fact that a profound way to lower population dose is to avoid doing inappropriate exams. Tools such as the ACR Appropriateness Criteria or Computerized Decision Support at the point of order entry can empower appropriateness review. And every radiologist needs to increase their awareness of exam appropriateness in daily work. This article goes straight to the heart of the challenge of tailoring care to each individual patient. Such a tailoring challenge bumps up against algorithmic appropriateness analyses, particularly those which are computerized for decision support. Generalized appropriateness may not ideally apply to individual patients and their unique situations. How we balance these challenges is to be worked out – to fail at this challenge would be to compromise care, both overall and individually. The coming 5 years will be very interesting for this balance. A new pediatric imaging study has been making headlines, but it’s important for patients to keep in mind both the risks and benefits of CT scans when evaluating the research. 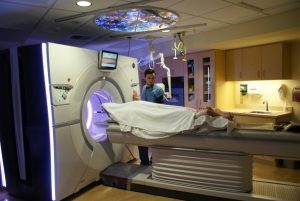 The study, published this week in Lancet, a British medical journal, claims that CT scans expose children to cancer causing radiation. 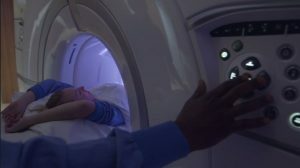 According to the researchers, for every 10,000 CT scans performed on children under the age of 10, one additional child will get a brain tumor and another child will get leukemia within 10 years of the initial scan. The research claims that these cancers would not have otherwise been expected regardless of medical imaging exams. However, this article documents an extremely small risk. In fact, this figure is less than what we have been assuming historically prior to any evidence. But, the article also cautions that any decision on whether or not to scan should involve a risk/ benefit ratio consideration. The study does not change our assessment of risk in that ratio. Thus, the potential benefit from CT remains the critical determinant on whether to perform a scan. As always, the ACR appropriateness guidelines help with that assessment. That also is the role of trained Board Certified radiologists—to know and advise about when CT scanning creates a risk/ benefit ratio strongly in a patient’s favor. Remember parents, discussing the risks of CT with your health care provider should certainly be done, but be sure to get the full set of facts before refusing care that may save and extend a child’s life. The American College of Radiology’s (ACR) Dose Index Registry pilot project has already amassed a number of studies, according to a presentation given at RSNA 2011. 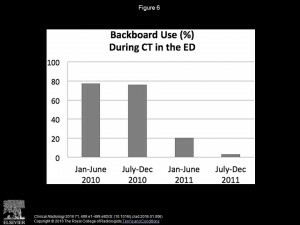 The program strives to accurately track CT radiation dose in order to establish national benchmarks, allowing practices to monitor radiation dose exposure and compare patterns. Although only launched in June 2011, the Dose Index Registry is already up and running and any medical imaging facility can now register for the program. 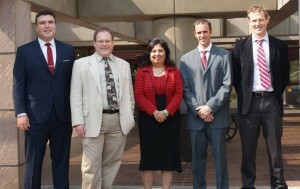 The University of Washington was the second institution to sign up for the ACR Dose Index Registry. 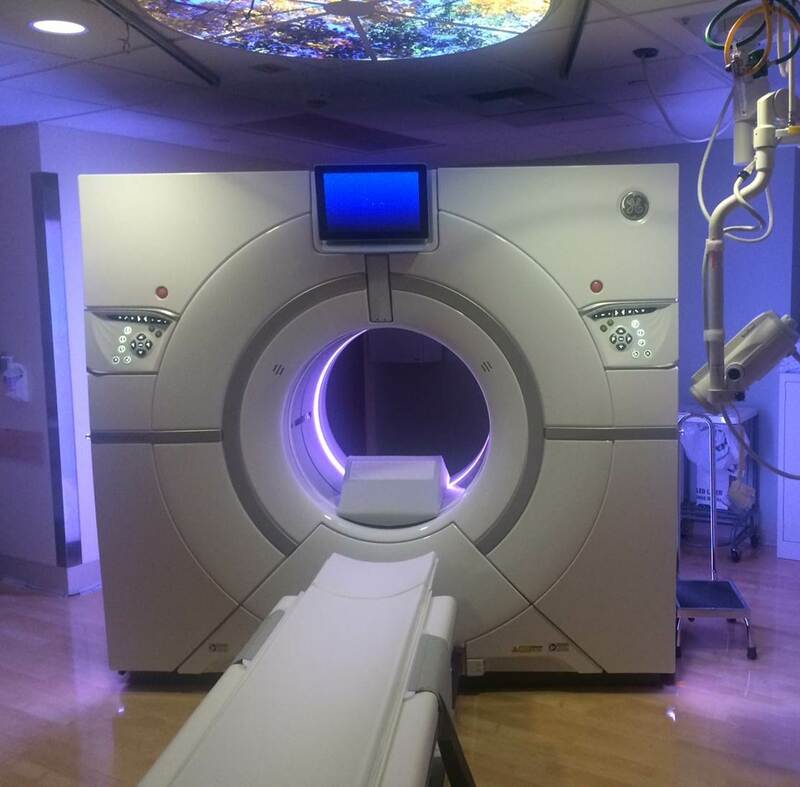 Using a DoseWatch product, we will get real time information on every CT scan and every patient scanned, including the dose each machine puts out in general, and dosage each patient is exposed to per scan and over time. This information then gets forwarded to the central registry maintained by the ACR for monitoring and for comparison purposes. This should be a very powerful monitoring program and a big boost to safety. We are glad to take part in the program and look forward to the insights that being part of the Dose Index Registry can provide! GE recently announced the introduction of a breakthrough low- dose imaging reconstruction technology in Canada. This CT image reconstruction technology, called Veo, is the first Model- based Iterative Reconstruction (MBIR) technique. The technology is a response to radiologists’ demand for a technique that maximizes CT image clarity and quality while optimizing the dosage level for patients’ safety. MBIR is indeed a radical breakthrough in the drive toward lower dose CTs. While very computationally intensive, this technique allows marked reduction in patient dose from CT (by up to 80% or greater), yet also provides some improvement in spatial resolution without compromising contrast resolution. How could all that be possible – seemingly defying the laws of physics? The answer is in the much faster computational speeds of the modern computer chip. 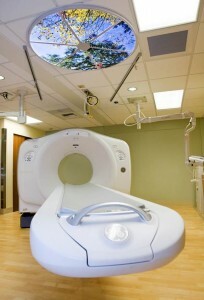 The University of Washington will be part of the group assessing the degree to which MBIR, commercially known as Veo, outperforms more traditional CT reconstruction techniques. A recent article on Time.com discusses situations where physicians may “bend the truth” in order to arrive at quicker results – in this case, the decision to perform an appendectomy. CT scanning without oral contrast for possible appendicitis gives up several percentage points in accuracy. A radiologist may mistake a non-contrasted terminal ileum for an inflamed appendix. And the earliest sign of appendicitis is called the arrowhead sign, which is contrast in an edematous appendiceal orifice – cannot be detected without the contrast. Many surgeons take comfort from the presence of contrast in the appendix as evidence that portion of the appendix is not obstructed and inflamed. Sure you can cut corners and save time. The ultimate time-saving corner to cut is to not do a CT and just decide based on physical exam plus lab results. The accuracy of CT without contrast is similar to that approach. But if we do CT in order to get more accurate diagnosis, we need to have the CT do its best job in terms of accuracy… which requires oral contrast. In my opinion, the time saved by doing CT without oral contrast definitely does not justify the loss in accuracy. Pressure to practice this way comes from well intentioned folks who do not have to interpret CT exams themselves, and stand by the results.